MANILA, PHILIPPINES, 8TH October 2018 – The Manila Electric Company (MERALCO) announced today that after a reduction last September, overall electricity rates once again went down to P9.9766 per kWh this month from last month’s P10.0732 per kWh. The decrease of P0.0966 per kWh will mean a downward adjustment of around P19 in the total bill of a typical household consuming 200kWh. 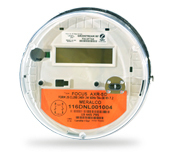 Since April this year, electricity rates registered a net decrease of 57-centavos per kWh. The decrease in generation charge is mainly the result of PhP0.2790 per kWh reduction in charges of Power Supply Agreements (PSAs). Despite the weakening of the peso against the US dollar and the scheduled maintenance outage of Sual Unit 1 that started on August 31, the cost of power from PSAs went down due to higher dispatch of Masinloc and Ilijan plants. The share of PSA purchases to Meralco’s total requirement this month was 36%. Transmission charge of residential customers increased by P0.0111 per kWh due to the increase in NGCP’s ancillary service charges. Meanwhile, taxes and other charges went down by PhP0.0266 per kWh this month. Meralco’s distribution, supply, and metering charges, meanwhile, have remained unchanged for 39 months, after these registered reductions in July 2015. Meralco reiterated that it does not earn from the pass-through charges, such as the generation and transmission charges. Payment for the generation charge goes to the power suppliers, while payment for the transmission charge goes to the NGCP. Taxes and other public policy charges like the FIT-All rate are remitted to the government.